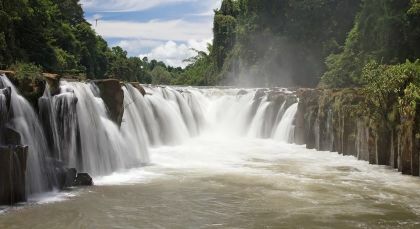 Laos tours are a delightful experience! 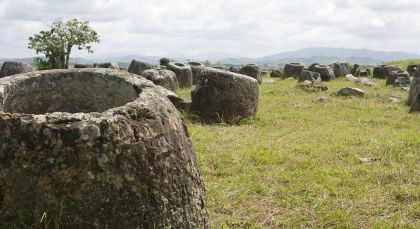 Combine the cultural highlights of spending time with Buddhist monks in local monasteries with beautiful natural landscapes and a relaxing Mekong River cruise. Arrange an optional pre-dawn start with your guide (0530hrs) to witness the daily morning ritual of ‘Tak Bat’ or giving of alms to hundreds of saffron-robed monks. This truly awe-inspiring ritual still followed by the locals in Luang Prabang, dates back generations. Later, visit the local fresh market to see how locals shop, before returning to your hotel. 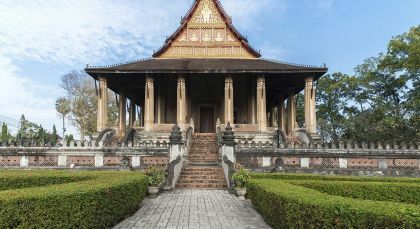 After breakfast, visit the quaint Royal Palace Museum, now a National Museum housing precious exhibits of former possessions of the once Lao Royal family. 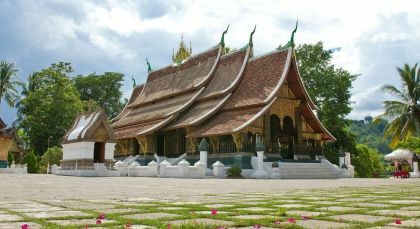 Enjoy an overview of the local history on a guided audio tour in the museum followed by the temple tour, exploring some the most beautiful structures: the country’s most historic 19th century Wat Xiengthong temple, with its low-to-the-ground sweeping roof in classical Luang Prabang style, and Wat Visoun, nicknamed ‘The Water Melon Stupa’ due to its shape. Next, visit the Arts and Ethnology Center to get insights into the ethnic mix and culture of Laos. In the afternoon, see the weaving and textile villages of Ban Xangkhong and Ban Xienglek. Thereafter, return to town to visit Wat Siphouthabath, a monk school. Here, you will get the chance to interact with a young monk and learn about their daily life. The final stop of the day is Mount Phousi, where you will ascend 328 steps to the top of Phousi Hill for amazing sunset views over Luang Prabang and the Mekong River.